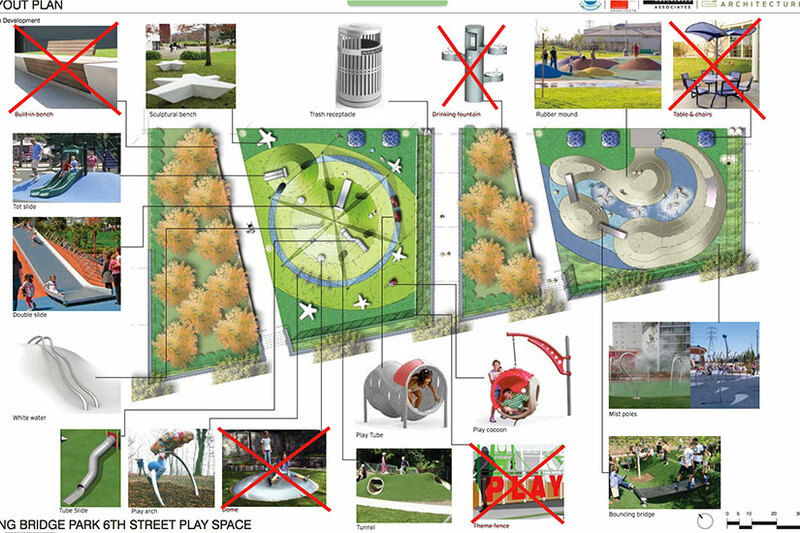 Arlington County may get a new playground after the next County Board meeting. The board will vote to approve construction contracts for two playground projects — one at Long Bridge Park and one at Tyrol Hills Park — on Saturday. The Long Bridge Park playground will be located at the south end of the park by 6th Street. If approved, it is expected to cost just under $1.1 million to construct. All told, with design and project management costs factored in, it comes with a $1,324,300 price tag. 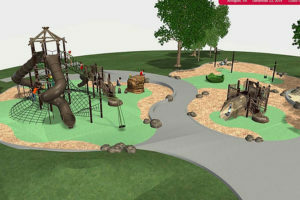 The proposed playground will offer an area for children ages two to five and one for ages five to 12. The play area for preschool children will include a shade structure, according to the County Board’s report. According to the planned layout of the park, kids can expect new play structures like a play tube, a play cocoon, tube slide and a double slide. 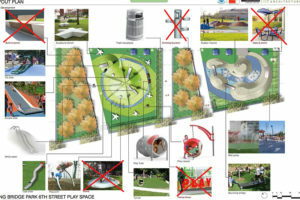 The playground was included in the already-approved master plan for the park, and the playground’s conceptual design fits in with the current aesthetic of the park, the report said. The county also gathered input from children on what should be included at the new playground. “The sessions were lively and produced interesting feedback,” according to the report. The County Board will also vote to approve a playground project at Tyrol Hills Park expected to cost $878,635. The project will replace current playground structures with new equipment. The new improvements will include new equipment, new porus pavement, a new picnic shelter and accessible playground surfacing. The Tyron Hills Park playground will also have a play area for children ages two to five and one for children ages five to 12.